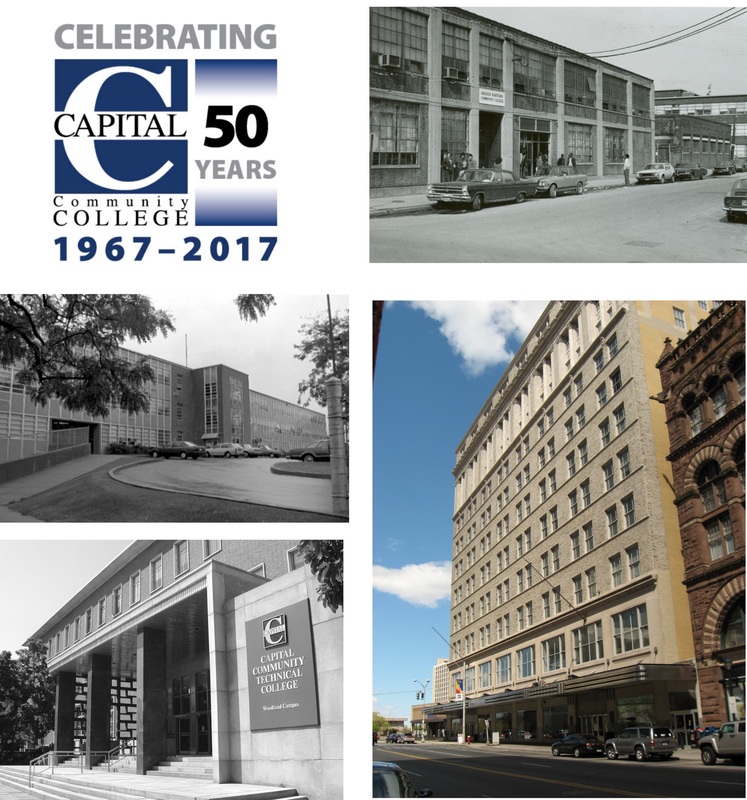 Capital Community College will observe its 50th anniversary during the 2017-2018 academic year. Fifty years ago this coming fall Greater Hartford Community College opened at a two-story Sequassen Street building near Colt Park with a first year class of 388. In 1967 Hartford State Technical College, consolidated with CCC in 1990, also became a degree granting institution. Through the years more than 300,000 students have enrolled. To mark the anniversary nominations are invited for alumni to be nominated to the Alumni Hall of Fame. Alums from both Capital (Greater Hartford Community College) and Hartford State Technical College are eligible. The deadline for nominations is August 18, 2017. Alumni Hall of Fame inductees will be announced at the October 19th Changing Lives Gala , CCC’s signature event for scholarships and student success. This entry was posted in Alumni, Announcements and tagged Community College Alumni, Hartford. Bookmark the permalink.